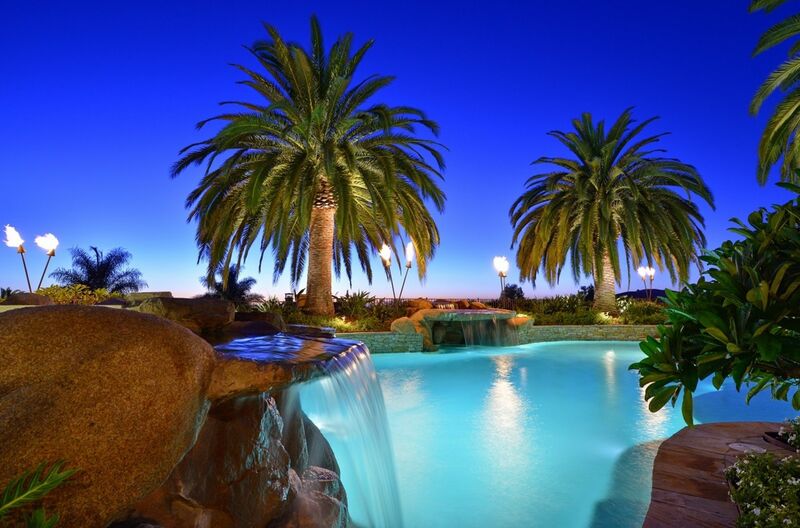 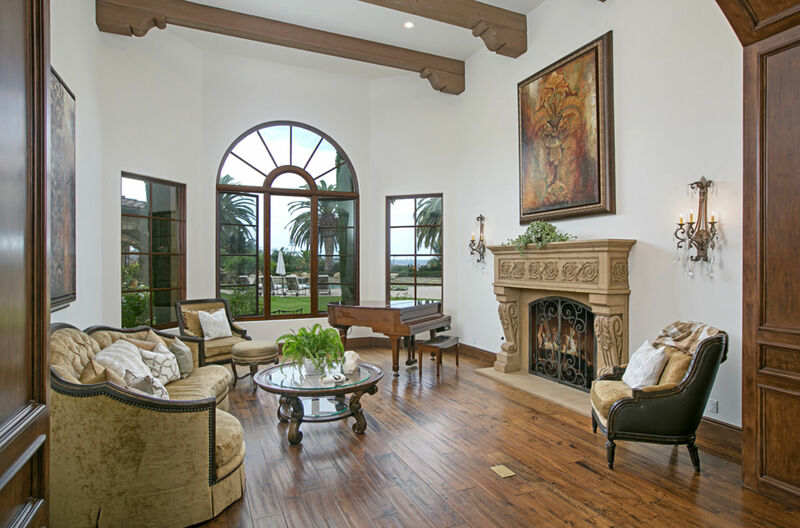 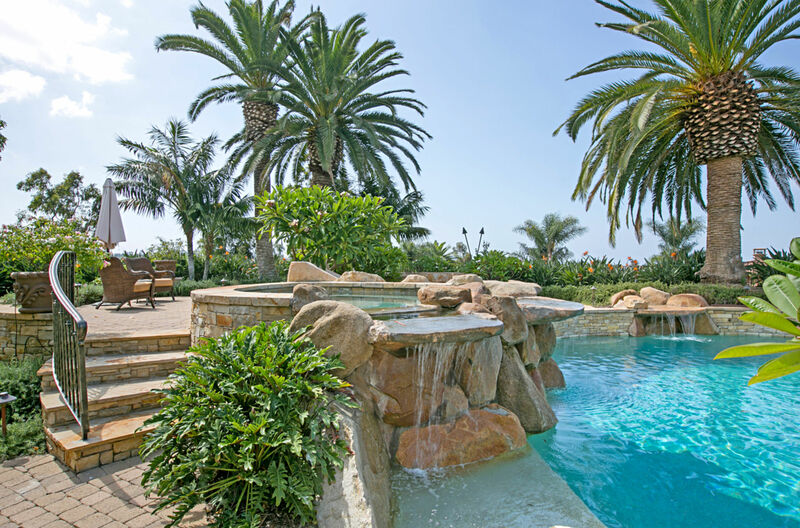 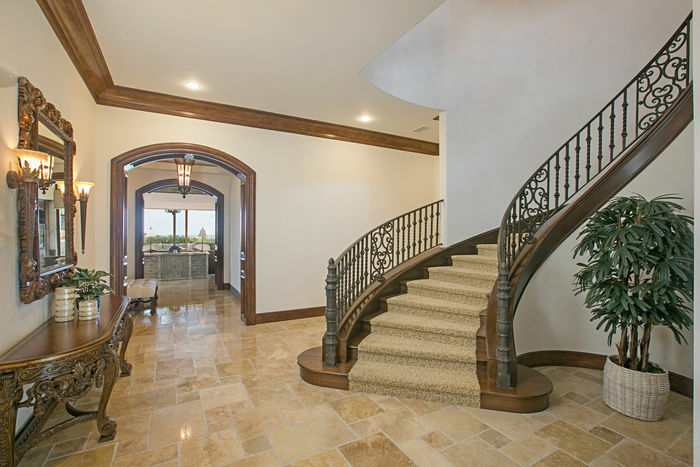 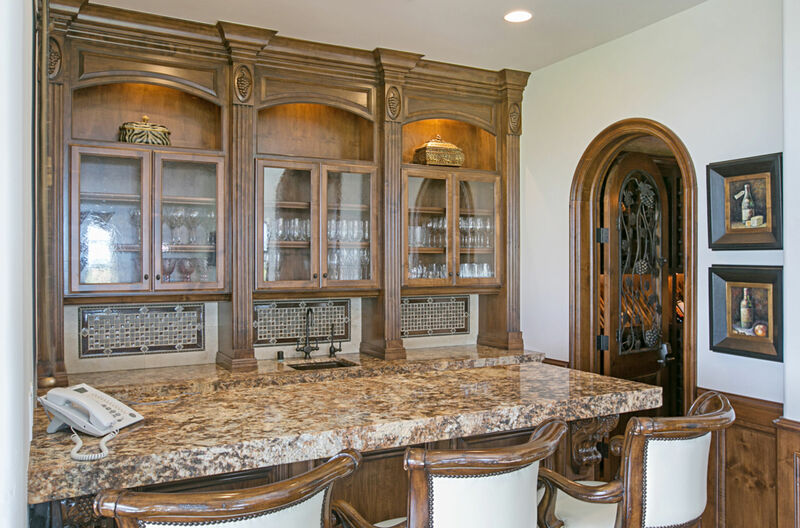 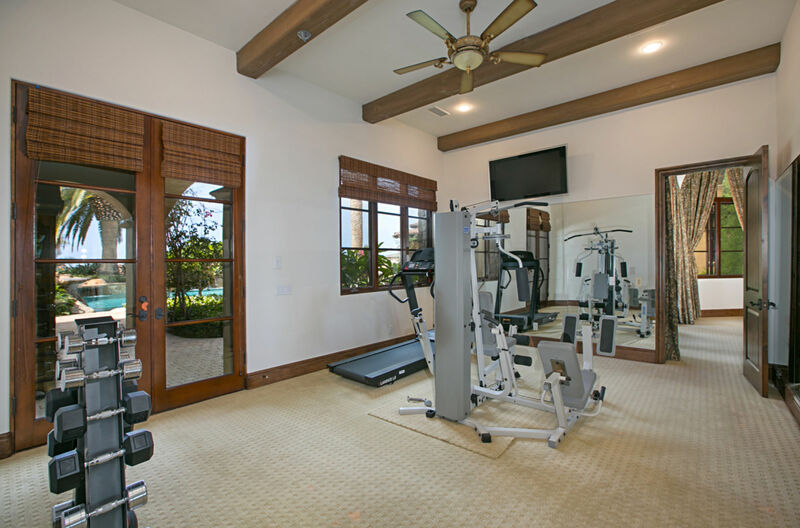 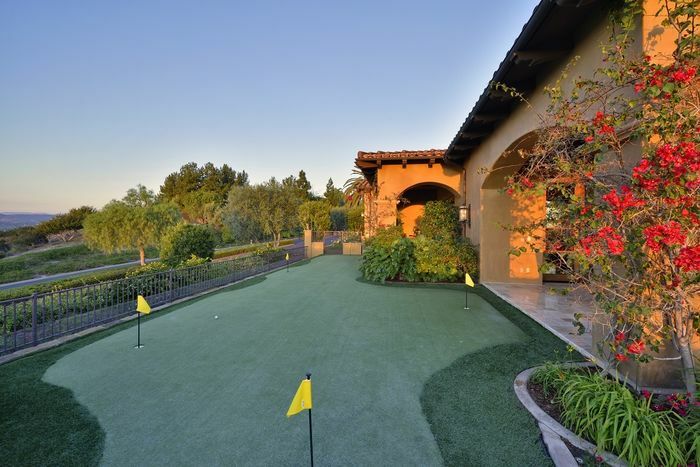 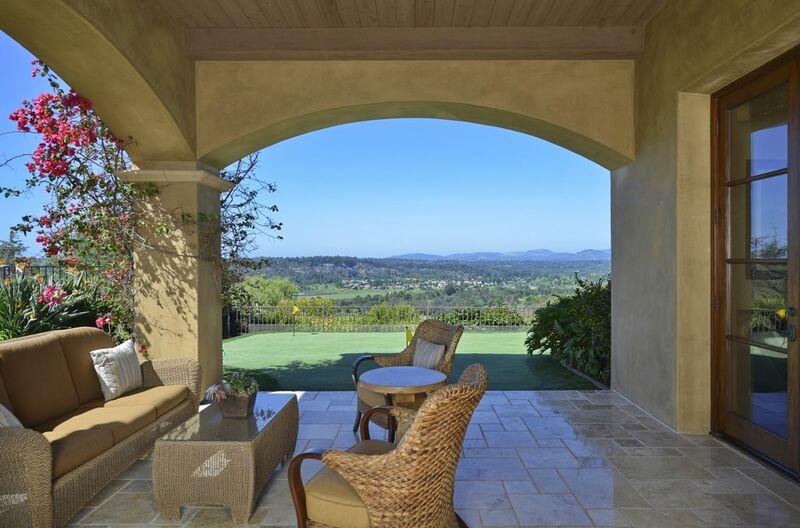 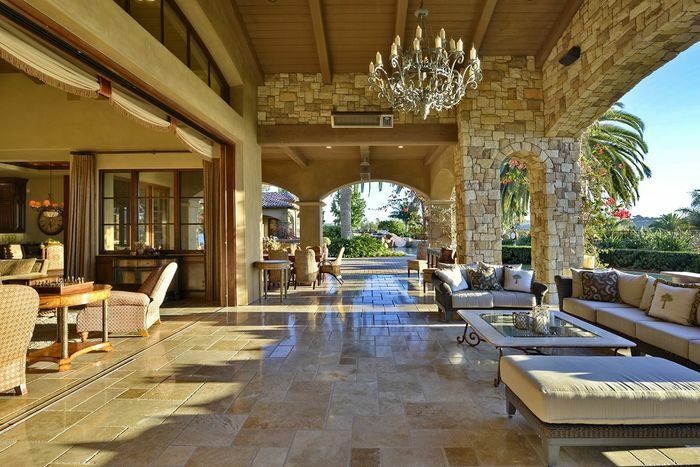 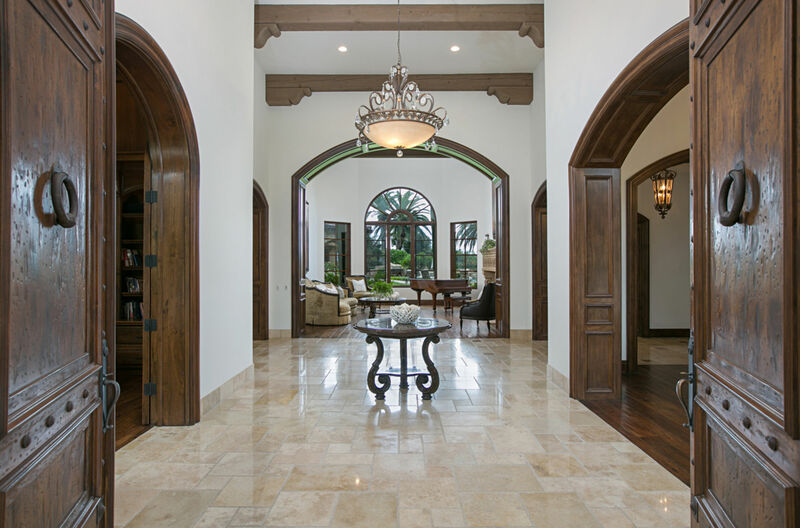 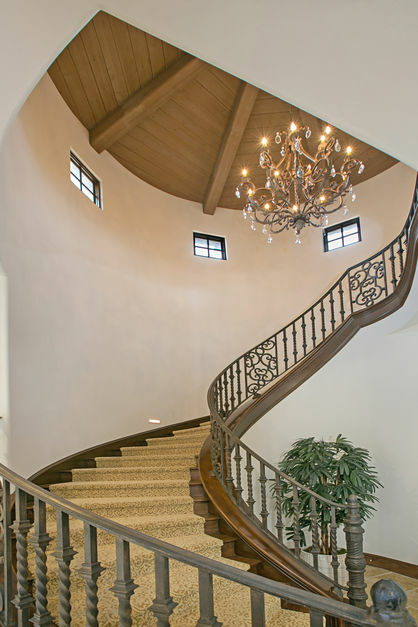 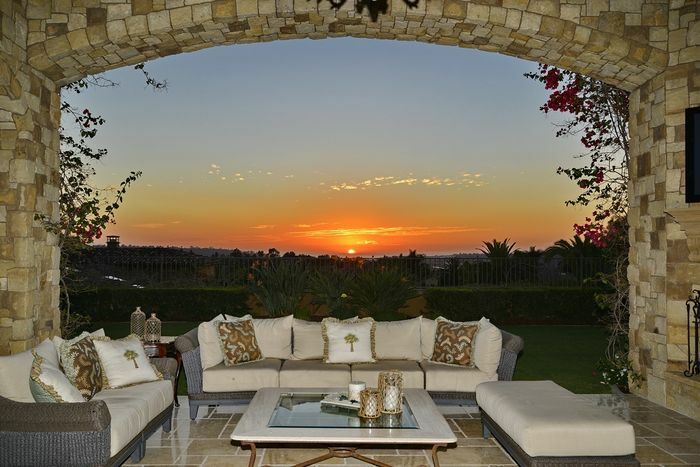 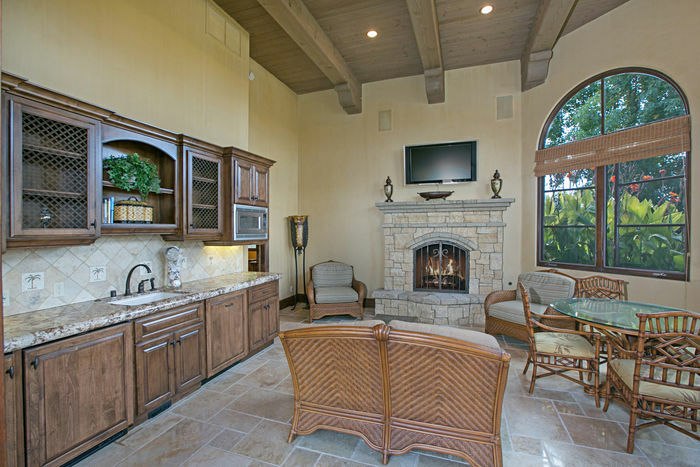 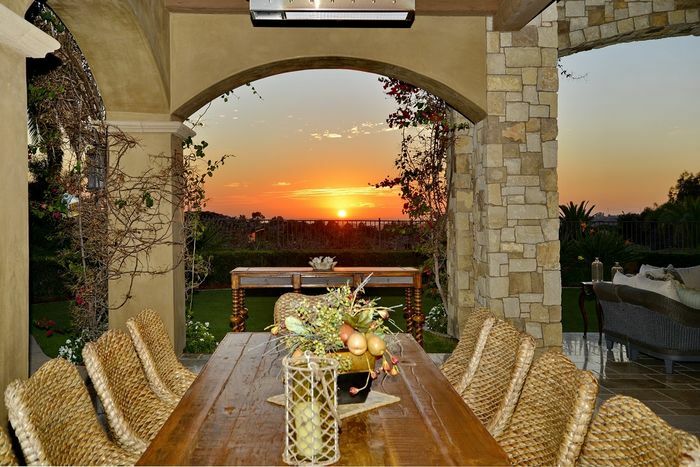 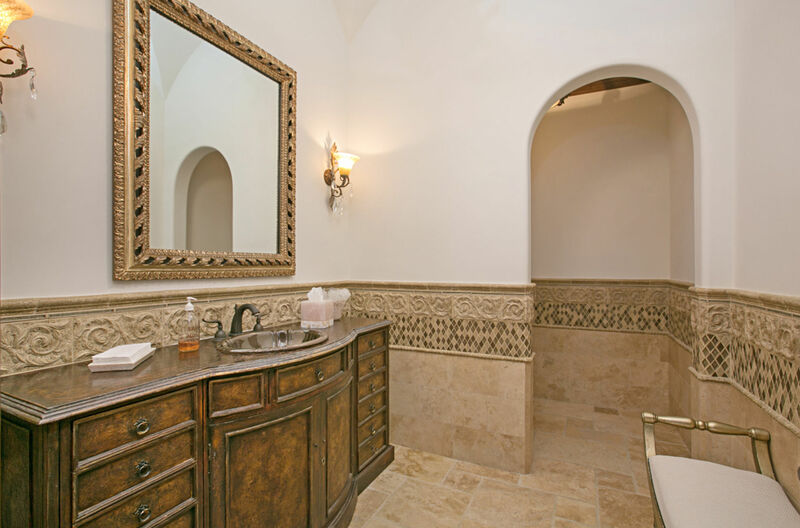 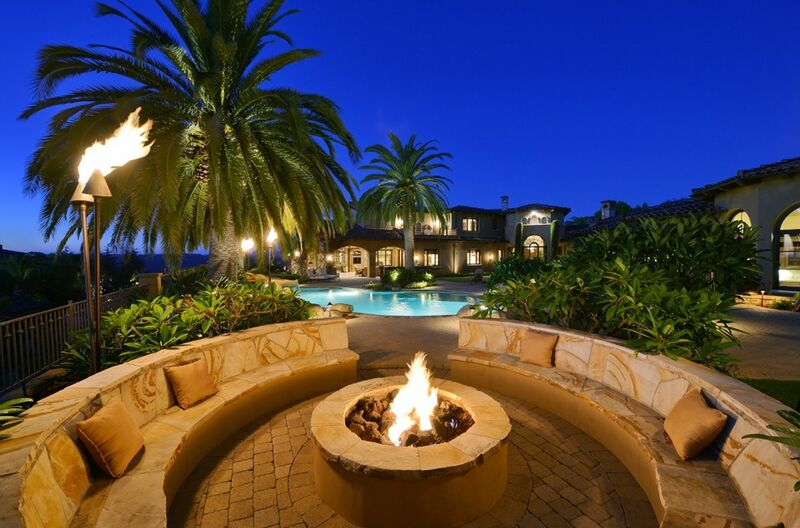 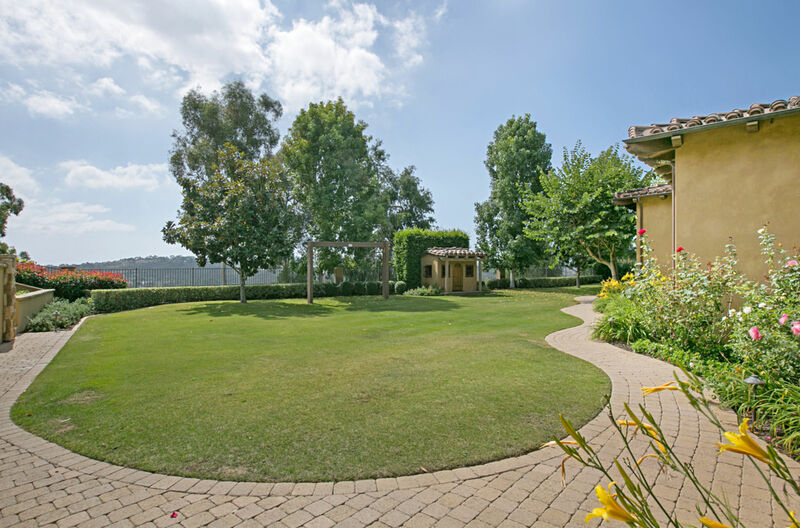 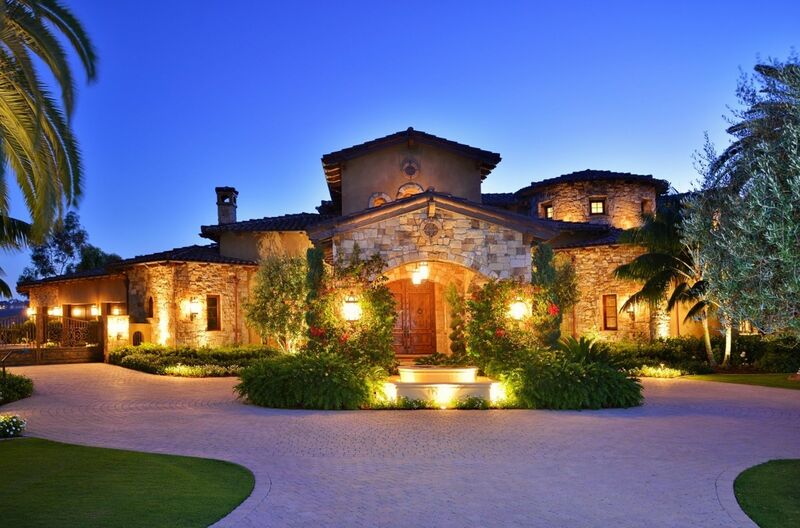 Premier Luxury Estate located in exclusive gated community of Rancho Pacifica. 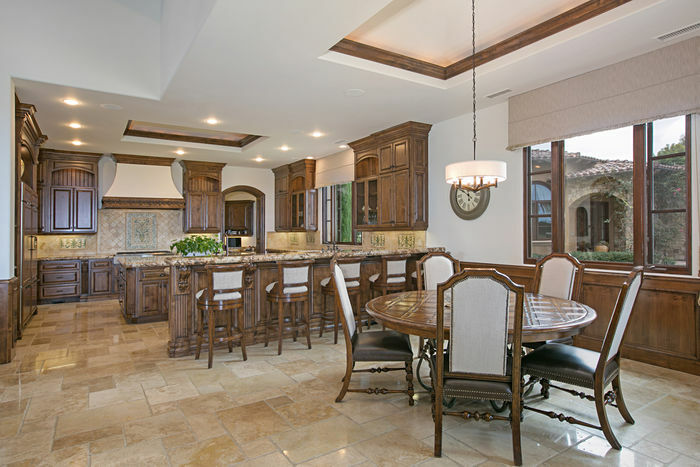 Available for the first time, this stunning masterpiece, is designed for grand entertaining and comfortable living. Situated on a private 1.3 acre lot, the home offers expansive unobstructed views of the ocean, golf course, mountains, beautiful sunsets and more! Mostly a one story floor plan with attached guest house & features 2 large secondary bedrooms situated on the upper level. Over 12,000 square feet of this floor plan delivers stylish spaces that are both sophisticated and comfortable for daily living! 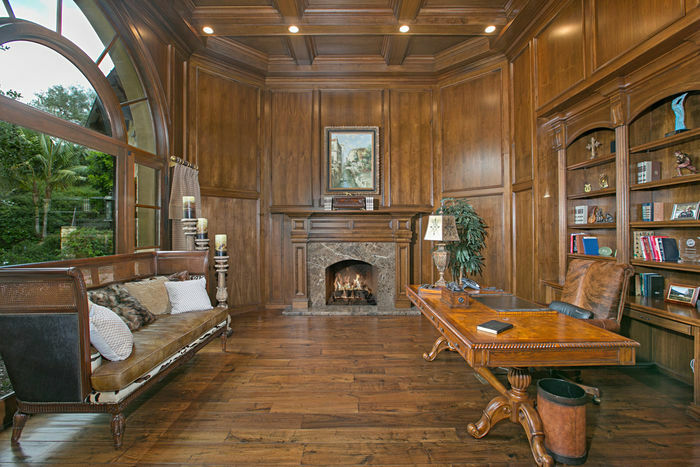 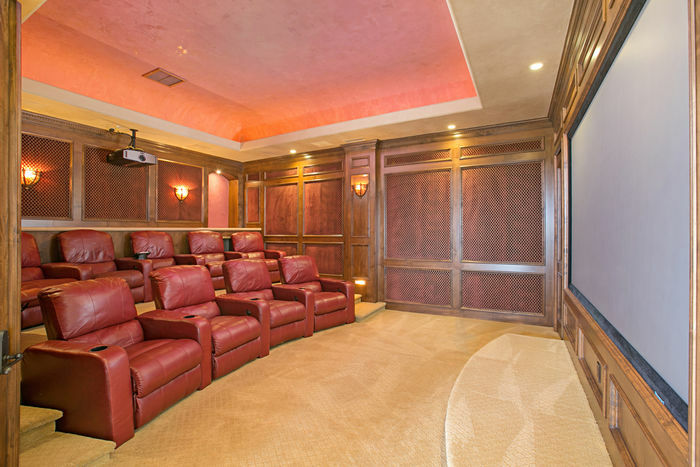 Distinctive spaces with masterful architectural detail include… 7 large bedrooms, 7 full baths, 2 half baths, 6 fireplaces throughout, dramatic wood-paneled library/office or den, sound-proof theatre room with state-of-the-art equipment & reclining seats for 10, large recreation/game room includes a wet bar, wine cellar & disappearing glass door that opens to the outdoor patio & putting green and fully equipped guest house with living area, bedroom & full bath. 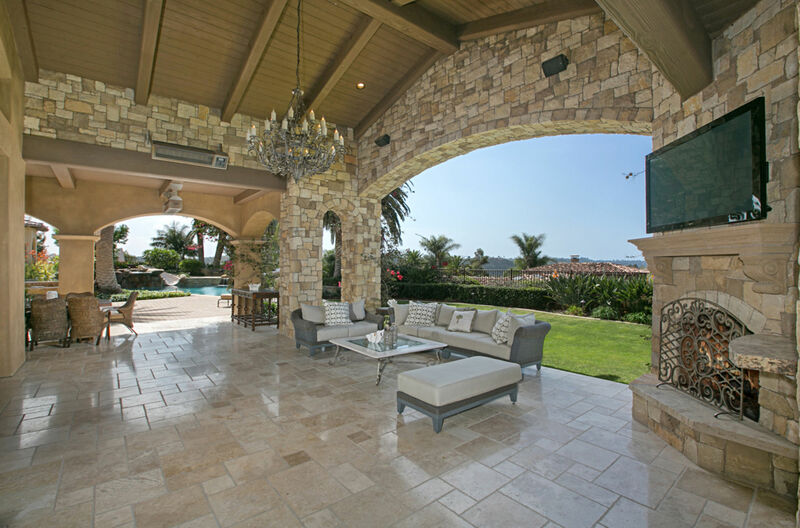 Large sliding doors open & disappear to combine the soaring great room & loggia for indoor/outdoor living areas to enjoy! Gourmet kitchen, a Chef’s paradise to cook and entertain in with oversized center island, adjoining butler’s pantry & top-of-the-line appliances. 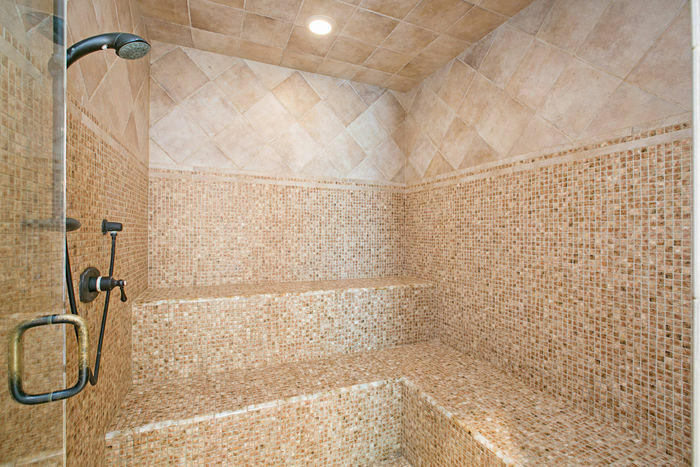 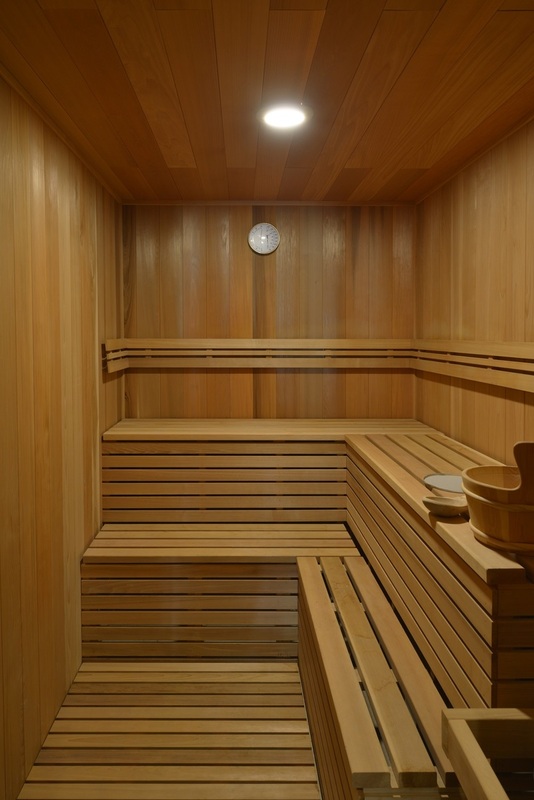 Generous sized master suite offers adjoining exercise room along with sauna, steam room with shower and gorgeous bath area with massive shower, soaking tub, his & hers vanities, toilet rooms and dual walk-in closets. 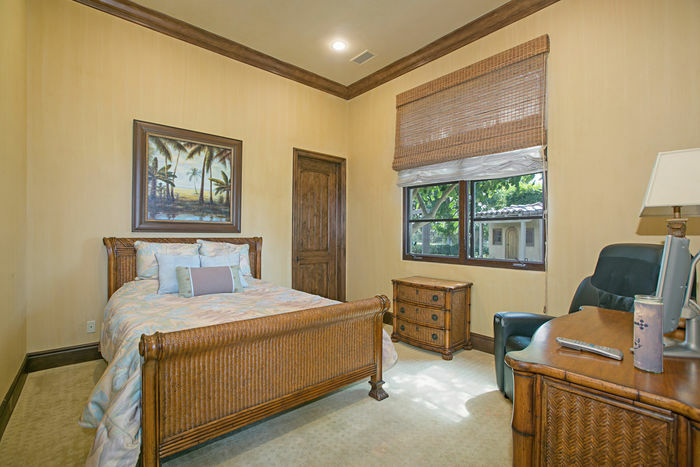 3 Large secondary bedrooms w/private baths are on main level and 2 special secondary bedrooms w/private balconies located upstairs. 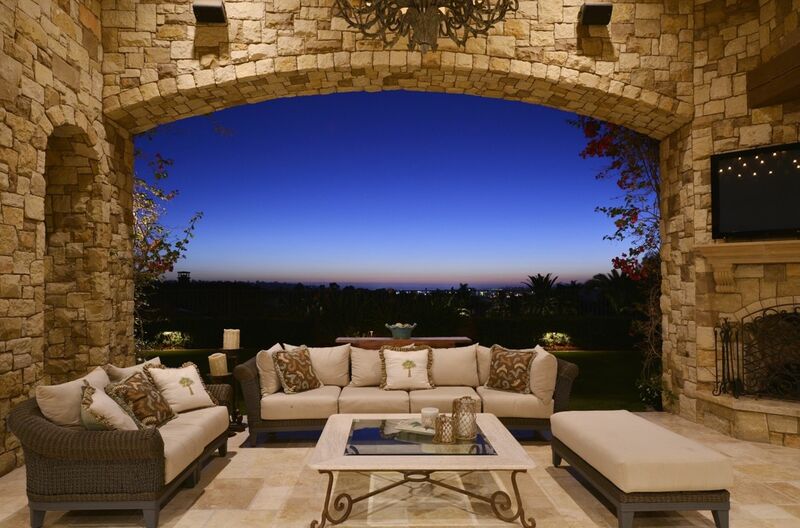 Outdoor is resort style living at its best! 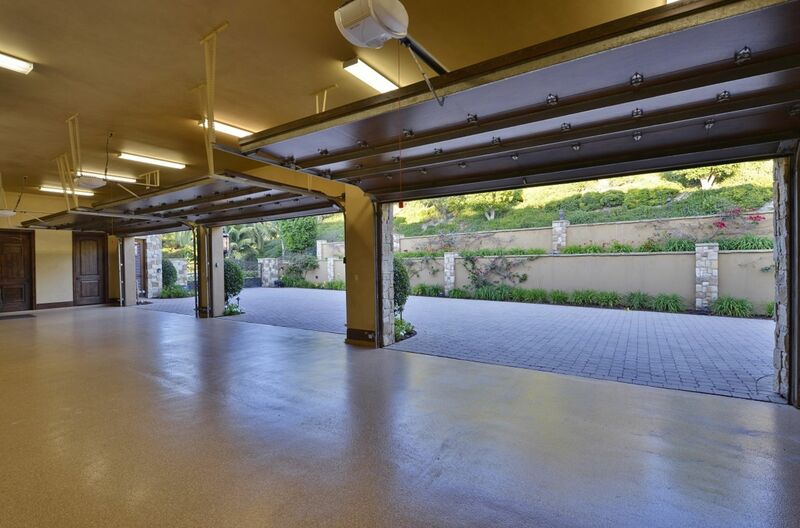 Relax and entertain any sized crowd with beautiful large pool, raised spa, numerous waterfalls, waterslide, firepit, covered loggia & verandas w/multiple gas heaters, outdoor kitchen w/bar seating, pizza oven, putting green, playhouse & outdoor shower. 6 Car garage houses multiple vehicles with plenty of room for storage. 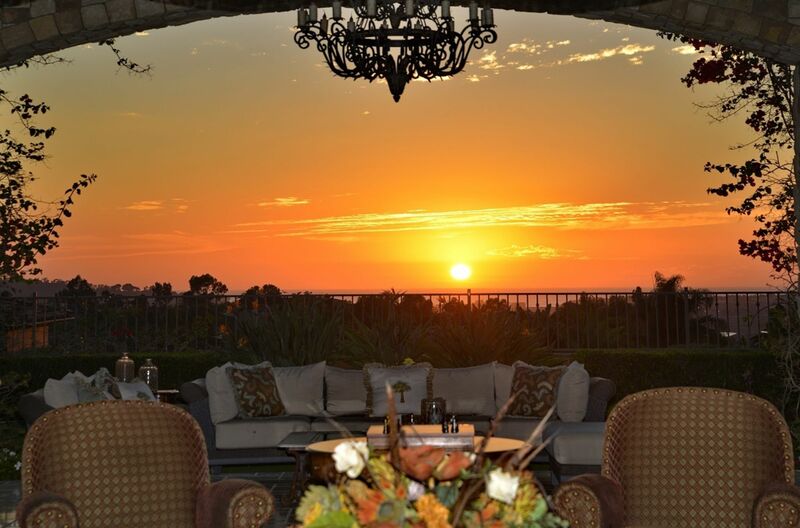 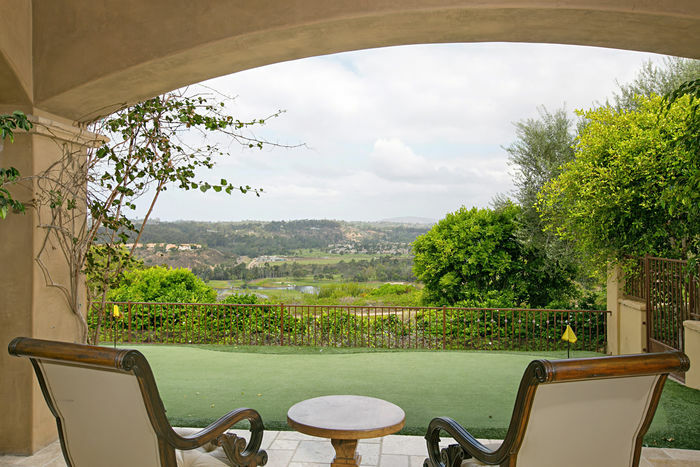 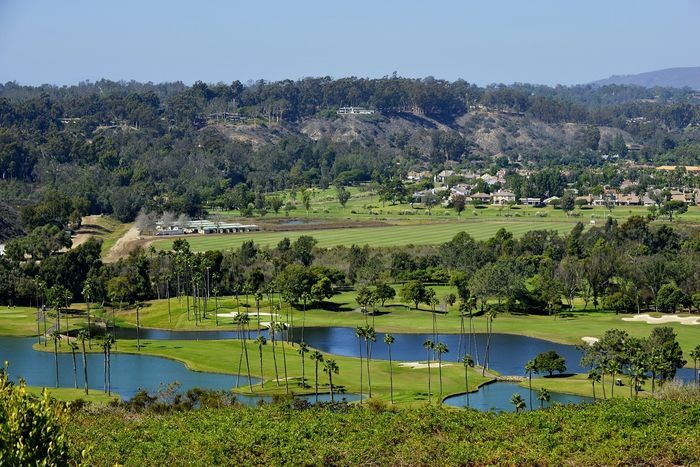 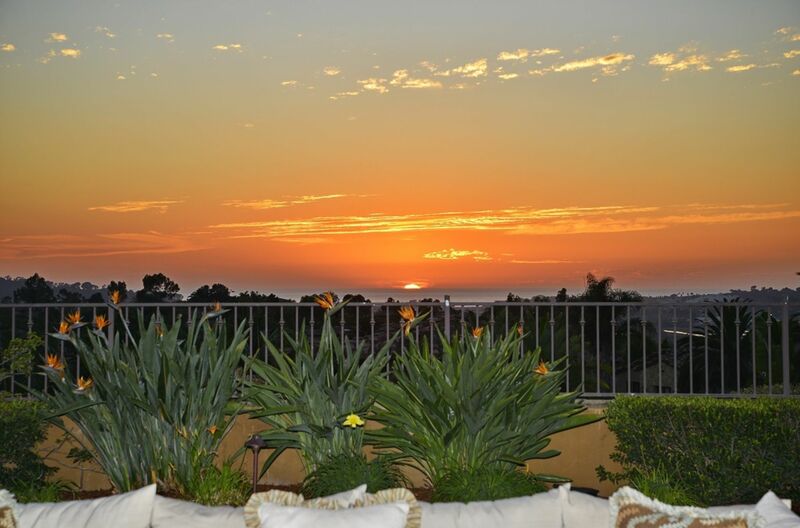 Short distance away are the gorgeous California beaches, Del Mar Fairgrounds, restaurants, entertainment and more! 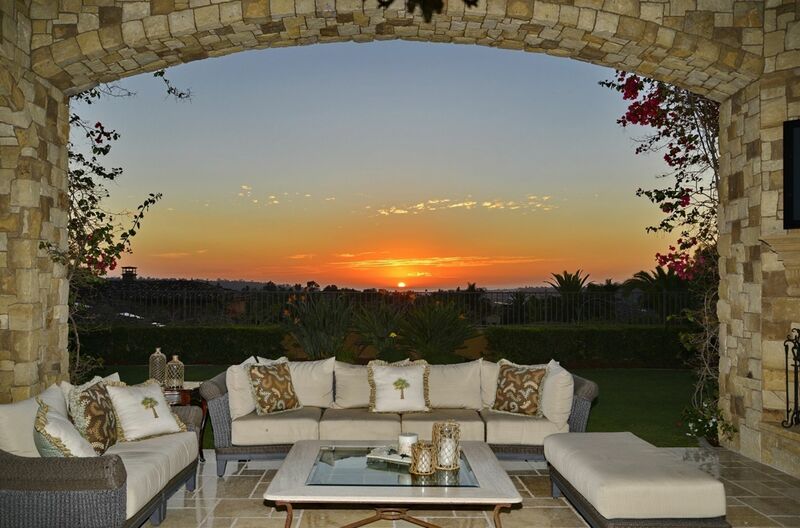 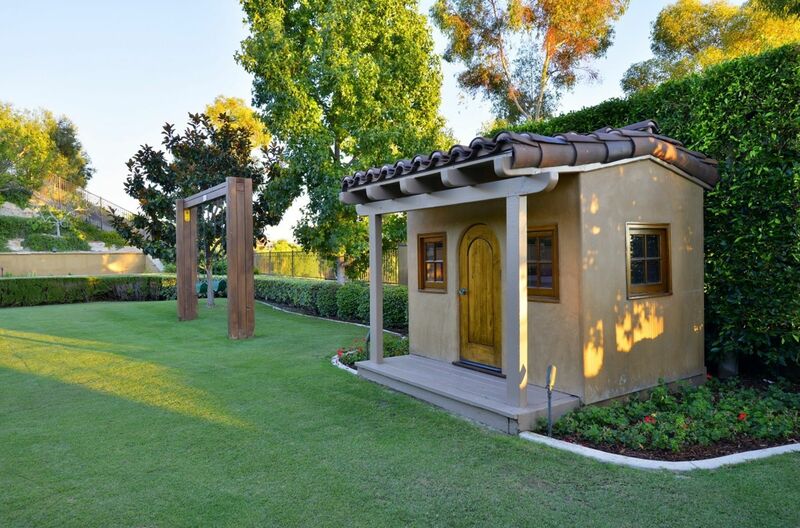 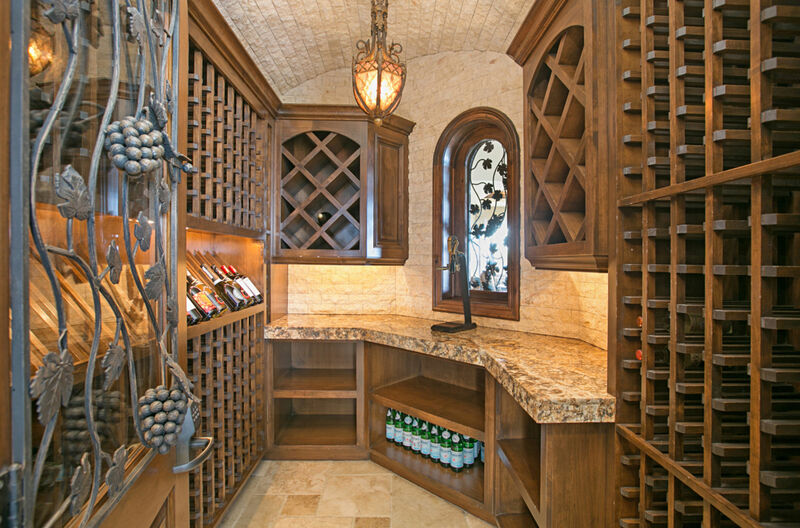 Don’t miss this truly spectacular one-of-a-kind gem!